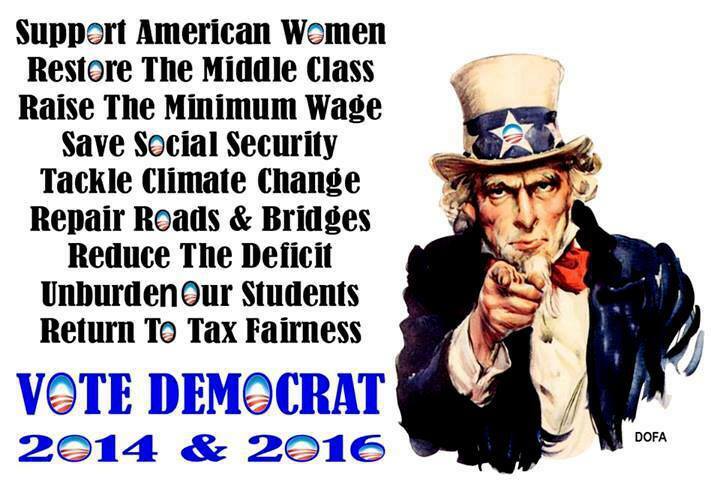 VOTE DEMOCRAT 2014 and 2016!! August 6, 2012, 6:02 a.m.
CHICAGO — A top advisor to President Obama‘s campaign lashed out at Mitt Romney on Sunday, arguing that the presumptive GOP nominee is misrepresenting a lawsuit Democrats filed in Ohio to equalize voting rights for all Ohioans. The suit, which Romney has seized upon to argue that Obama is trying to undermine service members’ voting rights, calls for all Ohioans to be able to cast early votes up until the Monday before election day. Until 2011, all Ohioans could cast early ballots as late as the Monday before election day. 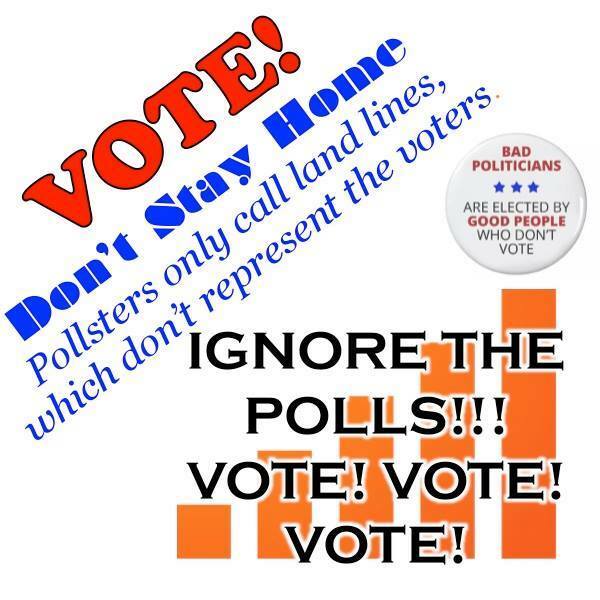 Last year, the Legislature instituted a Friday cutoff for all voters except members of the military and their families. In mid-July, the Obama campaign and state and national Democratic groups filed suit, arguing that a two-tier voting system was unconstitutional and calling for all voters to be allowed to cast ballots until the day before election day. The suit does not call for reducing early voting access for service members. On Saturday, Romney accused Obama of trying to undermine service members’ voting rights, and he argued that Ohio was within its rights to give service members special privileges. The disagreement between the two camps hinges on the Constitution: Obama argues that all citizens must be afforded equal voting access, while Romney maintains that it is legal for active members of the military and their families to receive extra privileges. A spokesman for the Obama campaign said Romney was trying to restrict access to the polls and was fabricating the notion that Democrats sought to restrict voting rights. 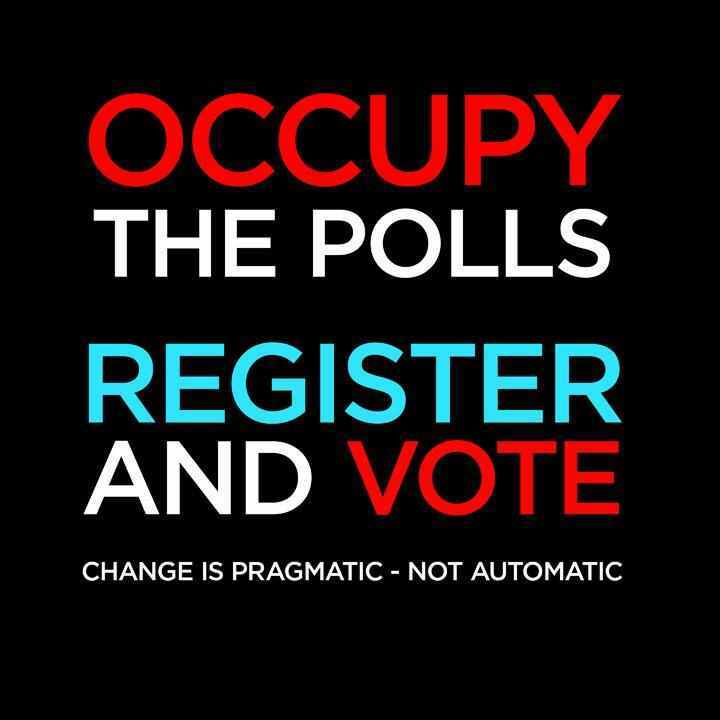 Occupy The Polls – Register And Vote! !